My bat-report post. Same bat time, same bat station. 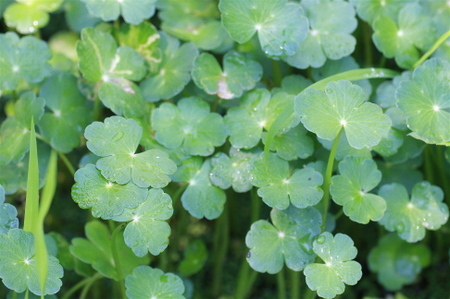 Floating Marsh Pennywort, Limnobium spongia, aka frog bit, is in abundance at the Celery Farm this year. Friend of this blog Deedee Burnside found it growing here in 2006, and it has been doing particularly well this year. According to a state botanist, Limnobium Spongia -- Mr. Spongia to you -- is a very rare native plant in NJ and is being proposed for official state listing as endangered. 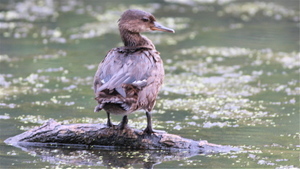 The species has been restricted to the Delaware Valley. Sharp-eyed friends of this blog solved both Monday morning mysteries -- almost. 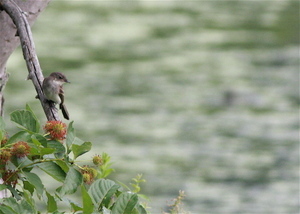 Deedee Burnside correctly identified (as far as I can tell) the little bird near the Warden's Watch as a willow flycatcher. Rob Fanning reports: I was pleasantly surprised to find a Louisiana Waterthrush at the Celery Farm this morning--working the stream/brook not far from Phair's Pond. Only my third ever here (second this year). This is the first summer/fall record for the CF that I'm aware of. Click "Continue reading for Rob's complete list.